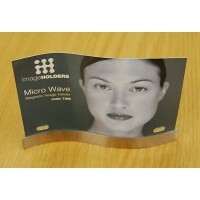 Display promotional materials, menus or company information clearly and effectively with this aluminium counter menu display. 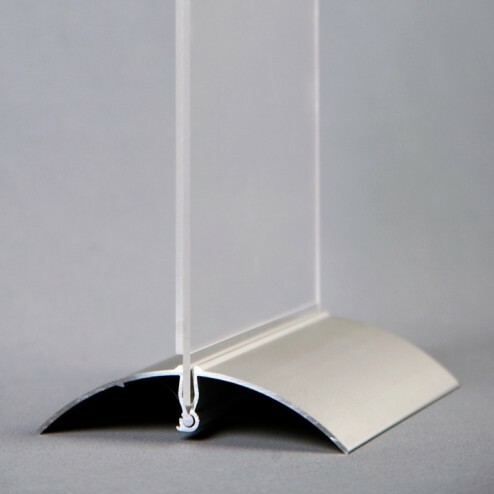 A simple and cost effective display solution for hotel or office reception desks, restaurants, exhibition stands and public spaces, the acrylic table menu holder turns the smallest surface into a professional looking display. 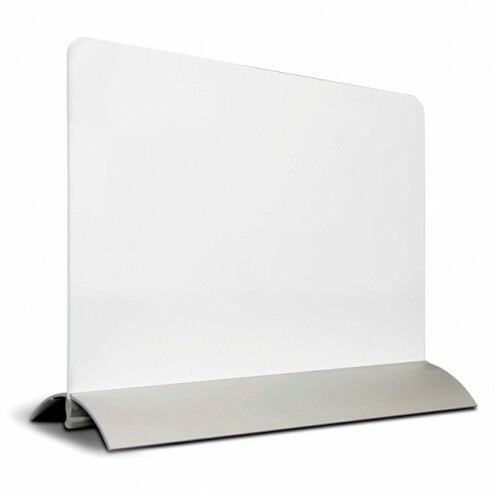 The sturdy, solid aluminium base has a modern brushed finish and rounded shape with deep slot to support the crystal clear acrylic menu holder pocket. 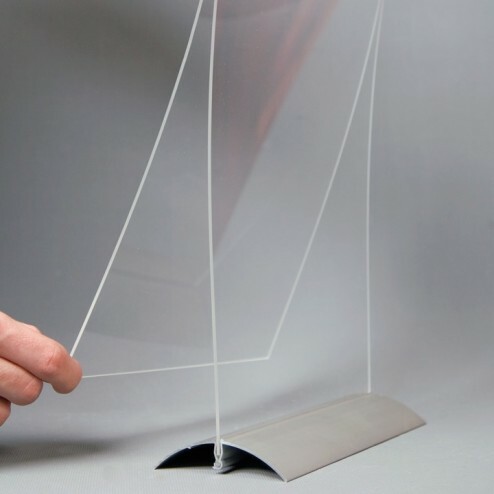 Ideal for doubling your message when positioned to be seen from both sides, or containing 2 different messages when used as a reversible display, the table top holder is available in a range of sizes from A6 up to A4, and displays your materials in landscape orientation. 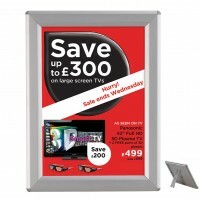 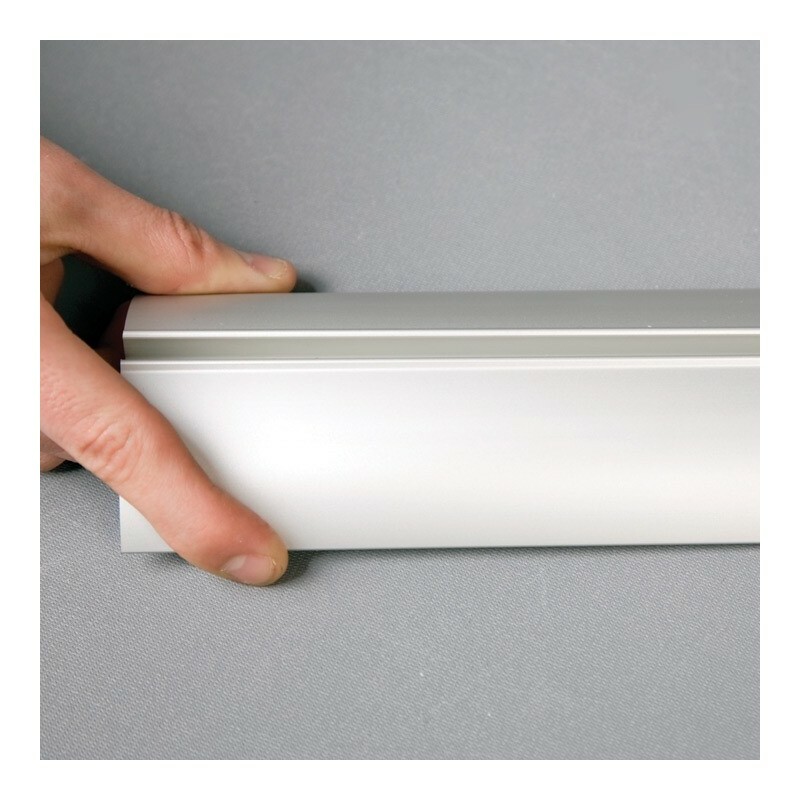 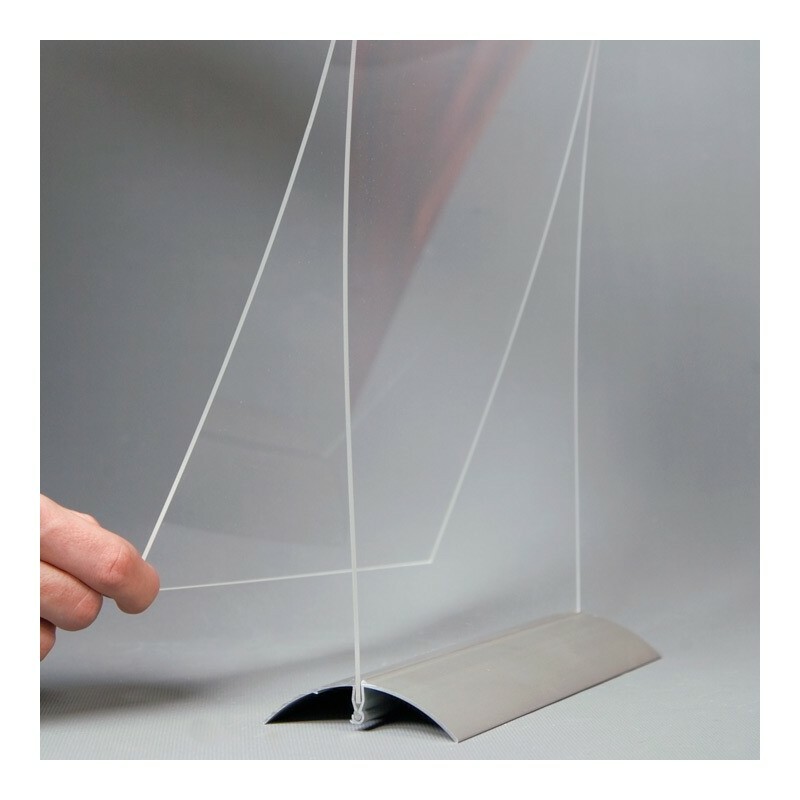 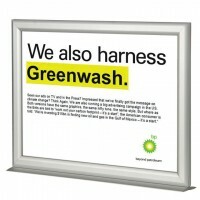 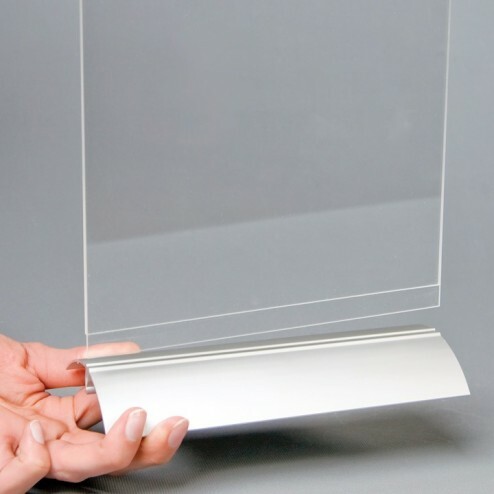 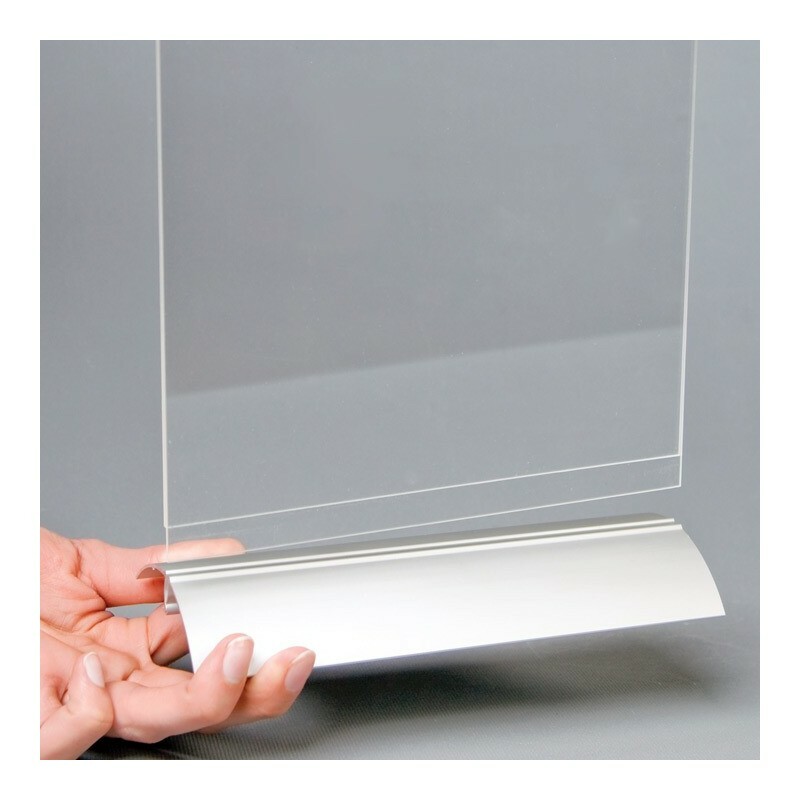 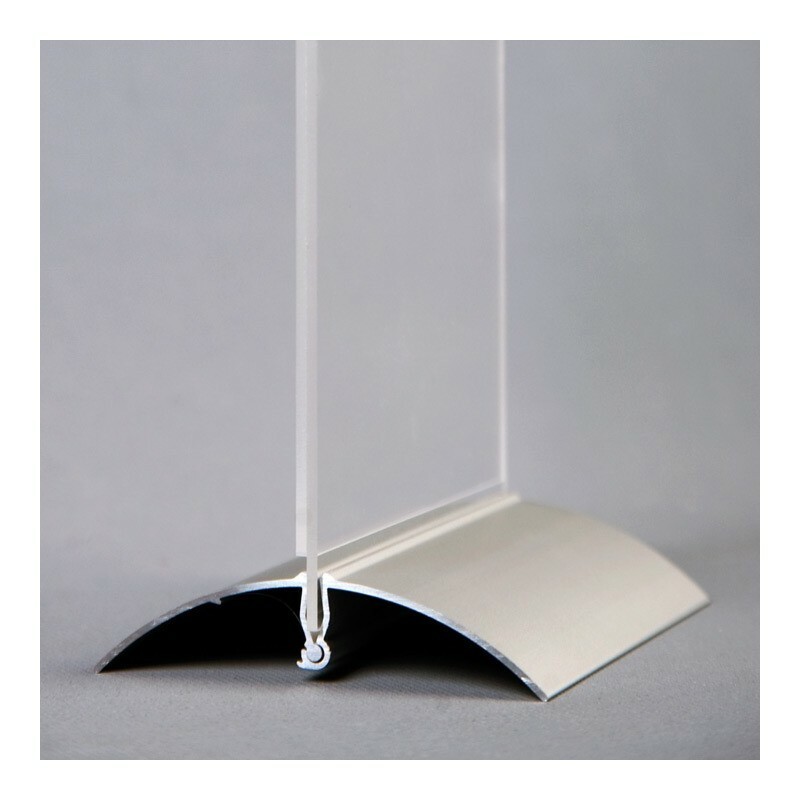 Quick and easy to use – simply place a poster inside the acrylic holder (or 2 different posters back to back for an instant double sided display), and slot the bottom of the clear pocket into the metal base. 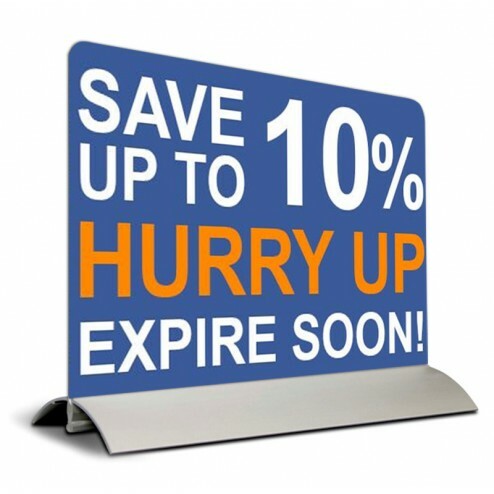 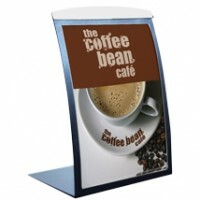 Graphics and information can be updated in seconds, making this compact, self standing display holder the perfect solution for use on reception desks to keep staff updated with internal information, in customer waiting areas for up to the minute promotions, at exhibitions or conferences for event timings, on restaurant tables to hold menus or specials and in POS spaces to display current offers. 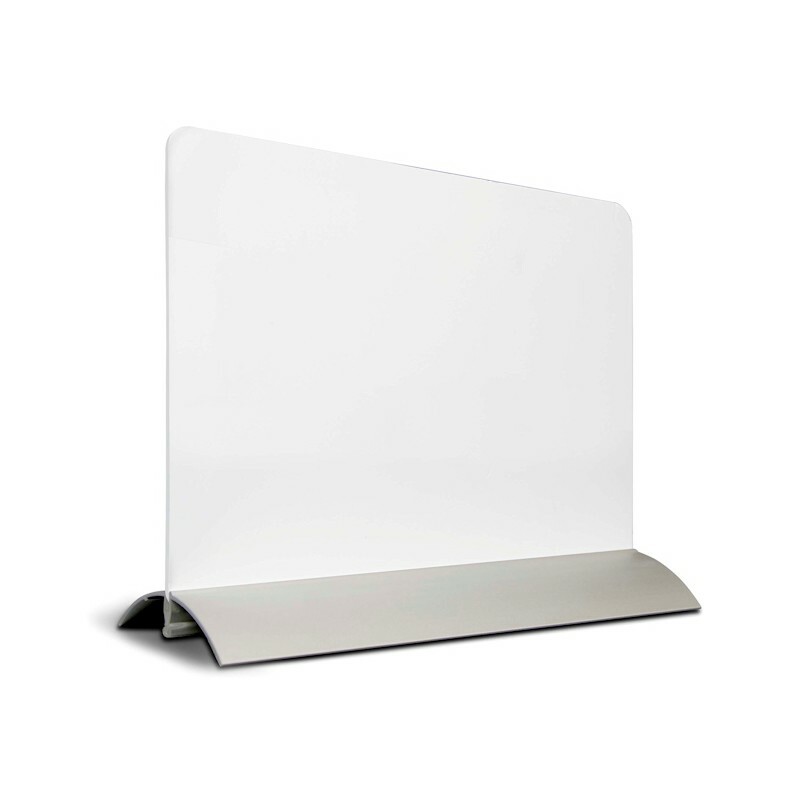 Compact, modern and lightweight, the portable table menu holder fits easily onto countertops, small tables, shelves and more to create an inexpensive and highly visible customised display.